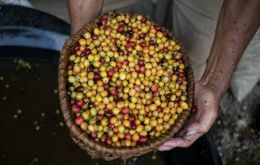 Terra Forte, one of the largest Brazilian coffee exporters, has filed for bankruptcy protection in a Sao Paulo state court, lawyers for the company said. 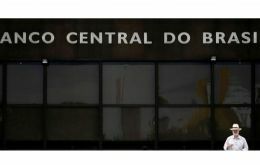 Law firm Freire, Assis, Sakamoto e Violante said Terra Forte was looking to restructure 1.1 billion reais (US$ 288.2 million) in debt. 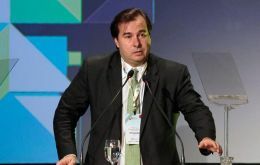 Brazil’s pension reform process will pick up momentum after the Easter holidays, staying on track for approval in the lower house in May or June, the lower house speaker Rodrigo Maia said on Thursday. Brazil's inflation rate hit 0.75% in March, the fourth straight month of increases and the highest for the month since 2015 when it registered 1.32%, Brazil's National Institute of Geography and Statistics (IBGE) said on Wednesday. Brazil's right-wing President Jair Bolsonaro announced Thursday an expansion of a social welfare program that was created by his jailed left-wing foe Lula da Silva. Brazilian Economy Minister Paulo Guedes said on Wednesday he is “optimistic” that Congress will pass a pension reform bill that will generate savings of 1 trillion reais (US$ 261.68 billion) over 10 years, in line with the government’s ambitious proposal. Residents of a hillside Rio de Janeiro favela risk finding hungry caimans at their front door after the city was hit hard by heavy flooding caused by torrential rain. 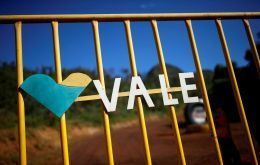 Brazilian prosecutors plan to file criminal charges against Vale SA and employees of the mining giant over the deadly collapse of a mine-waste dam in January, the lead investigator told The Wall Street Journal. 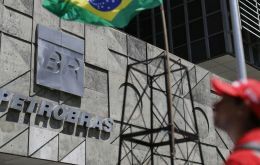 Crime-fighters in Switzerland and Brazil pledged to intensify cooperation to resolve the sprawling corruption case linked to state oil firm Petrobras in which around 700 million Swiss francs (US$ 701 million) remain frozen in Switzerland. 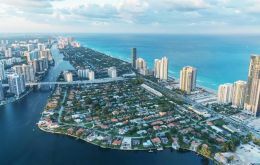 Miami real estate agents have one reason to be happy: Brazilian buyers are back as a dominant buyer pool in South Florida, amid an increase in foreign investment. 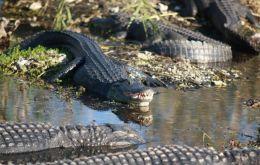 Political turmoil in Brazil and a strong dollar have kept buyers away from South Florida in recent years – until now. The Brazilian government is planning to purchase a second satellite for military and civil communications. 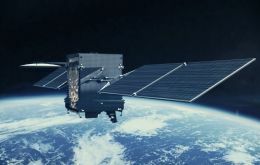 Brazilian Air Force Executive Vice President Maj. Gen. José Vagner Vital, said the nation’s military wants to have a backup for the Geostationary Defense and Strategic Communications Satellite, SGDC-1.